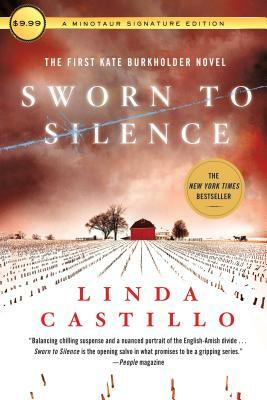 Sworn to Silence is the first in Linda Castillo's New York Times bestselling Kate Burkholder series. Some secrets are too terrible to reveal. Some crimes are too unspeakable to solve. . . . In Painters Mill, Ohio, the Amish and "English" residents have lived side by side for two centuries. But sixteen years ago, a series of brutal murders shattered the peaceful farming community. A young Amish girl named Kate Burkholder survived the terror of the Slaughterhouse Killer . . . but ultimately decided to leave her community. A wealth of experience later, Kate has been asked to return to Painters Mill as chief of police. Her Amish roots and big-city law enforcement background make her the perfect candidate. She's certain she's come to terms with her past—until the first body is discovered in a snowy field.